We are four Master students in Sustainable Business and Innovation at Copernicus Institute for Sustainable Development at the Utrecht University. 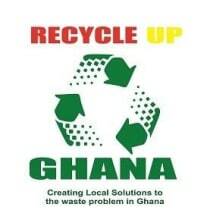 We are planning to carry out free consultancy work for an NGO in Ghana called RecycleUp Ghana, between 11 May - 20 June. The NGO addresses issues of plastic waste, which are very problematic in Ghana. The way they do it is by mobilizing students to devise and implement solutions and raise awareness in their community about plastic waste. In this way their impact is twofold: while cleaning and preventing waste, local students have the opportunity to become an entrepreneur. What we are going to do is evaluate the positive economic, environmental, and social impacts of the NGO on the community. We have plenty of experience and reliable expertise in the sustainability discipline, so we feel very confident that our project will be of high value to RecycleUp Ghana, and the local community. The project is also part of our curriculum at Utrecht University, which means that it will also contribute to the academic community with valuable insights from an international research project and allowing us to improve our knowledge and skills. The reason we need support is because we cannot cover our travel expenses. We hope to raise enough money to compensate for our plane ticket costs, visa, and vaccinations. We estimate that we need about 3000 euro's to cover these costs for a four person group. We are really excited for this rare opportunity to collaborate with an African charity and thereby contribute to the welfare of disadvantaged communities. We are looking forward to apply all our academic learnings finally into practice, and have a positive impact on the local issues. We would be incredibly grateful to anyone who considers our cause donation-worthy!